Folic acid supplements have long been thought to have potential heart benefits, but a large new study suggests that they don’t lower the risk of heart attacks or strokes. MONDAY, October 11 (Health.com) — Folic acid supplements have long been thought to have potential heart benefits, but a large new study suggests that they don’t lower the risk of heart attacks or strokes. Folic acid is a synthetic version of folate, a B vitamin essential to cell growth. (That's the reason pregnant women take folic acid to stave off birth defects.) Doctors have speculated that folic acid may improve heart health, because people with B-vitamin deficiencies often have high blood levels of the amino acid homocysteine, a marker of inflammation that has been linked to an increased risk of heart disease. Folate is found in green vegetables and in grain products that have been fortified with folic acid. Those foods are often good for the heart—but most likely due to other nutrients, such as cholesterol-lowering fiber. In the new study, which appears in the Archives of Internal Medicine, researchers in Europe and North America analyzed data from eight randomized controlled trials that included about 37,500 people who had heart disease, or were considered to be at risk. About half of the participants took 0.8 to 40 milligrams of folic acid daily for at least a year, and the other half took placebo. Folic acid supplements reduced homocysteine levels by about 25%, on average, but they had no measurable impact on heart risk. The same percentage of people in both groups (11%) experienced a heart attack or died from heart disease, and the rate of stroke (4%) was also identical. "Folic acid has a role in decreasing homocysteine, but decreasing homocysteine doesn't seem to have a role in the outcome of heart disease," says Suzanne Steinbaum, DO, a preventive cardiologist with Lenox Hill Hospital, in New York City. Dr. Steinbaum was not involved in the new research. Homocysteine levels can vary according to dietary habits (eating a lot of red meat, for example) and genetic factors. Researchers first began to suspect that homocysteine plays a role in heart risk when they noticed that children with extremely high levels stemming from a rare genetic disorder also have high rates of heart problems. However, J. Chad Teeters, MD, a cardiologist and assistant professor of clinical medicine at the University of Rochester Medical Center, in New York, says that the study findings are the latest evidence that homocysteine is of little use as an early warning sign of heart attacks or heart disease. "Homocysteine doesn't seem to have any predictive strength, and most [doctors] don't check it," says Dr. Teeters, who was not involved in the new study. Homocysteine tests have largely been replaced by those that check blood levels of another inflammatory marker, C-reactive protein (CRP), Dr. Teeters says. The American Heart Association does not consider homocysteine a major risk factor for heart disease, he points out, nor does the organization recommend widespread folic acid supplementation. 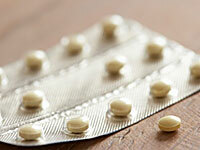 Folic acid supplements do appear to be safe, according to the study. The authors found no evidence that taking folic acid increases the risk of cancer, as some past research has suggested. More than one-third of people in the U.S. take supplements or multivitamins that contain folic acid, according to a survey conducted by the Centers for Disease Control and Prevention. Supplement use in general has soared since the 1970s. But unless you're pregnant or have specific deficiencies, eating a healthy and balanced diet is still the best way to ensure that you're getting all of the essential vitamins, Dr. Teeters says. "All this super-supplementation doesn't really have a role," he says.